During end-of-year rollover you may have students that are no longer at your school. 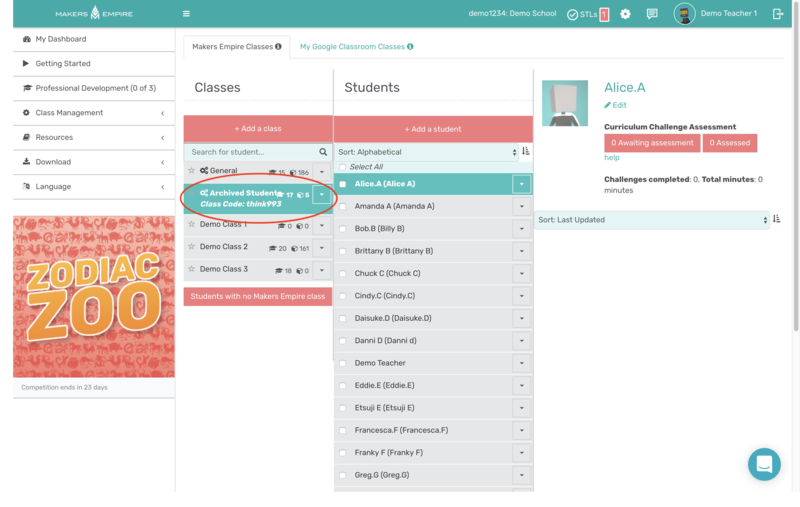 If you have a class of students that are leaving the school, and will no longer be using Makers Empire at school, you can archive a class rather than deleting it. Archiving a class will retain all the students' account information and designs. This will move all students in the class to the Archived Students class. If you don't already have an Archived Students class, it will be automatically created for you. 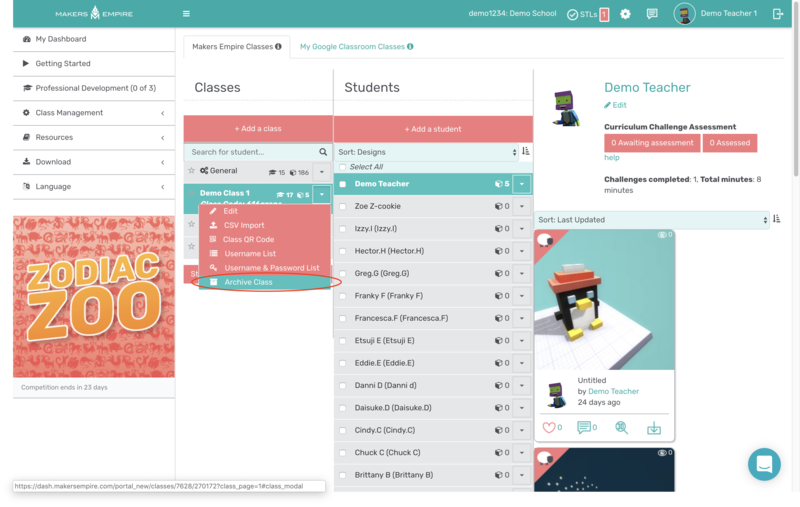 The students will still be able to access Makers Empire at home and you can move the students into other classes later if you need to.